Considering the fact that Apple Watch was only launched back in April of this year, Apple has done a seriously impressive job of not only pushing and marketing the hardware, but also developing the underlying platform that powers it. 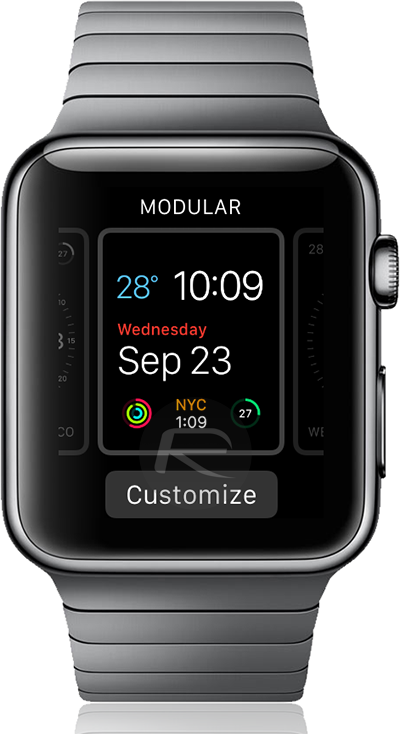 The recent release of watchOS 2 is not only Apple’s first major update to the Apple Watch’s operating system, but it also brings with it a number of great additions and improvements, such as the ability for third-party app developers to add complications to their apps. We’re going to take a quick step-by-step look at how to check if installed apps have complications available, how to add and remove them from the Apple Watch’s Customize screen, and finally, how to actually get the complication up and running on the Apple Watch itself. Step 1: To begin, download and install any app from the App Store on your Watch which has support for watchOS 2 complications. Step 2: Now launch the Watch companion app on the connected iPhone. Step 3: Tap on the My Watch tab at the bottom. Step 4: Now tap on Complications from the My Watch menu. Step 5: This is the area that third-party complications are sent to from the apps that support them. In a similar fashion to how widgets work from within Notification Center, you can use the “plus” and “minus” buttons on this screen to add or remove complications from the Apple Watch’s Customize screen. Now that you have installed an app with complication support and set it up in the Watch app on the iPhone, getting it all up and running on the Apple Watch is pretty straight forward. Step 6: Make sure you’re on the main watch face screen. Step 7: Simply Force Touch on your current watch face. This will kick it into edit mode. Step 8: Select your desired clock face, and then tap the Customize button. 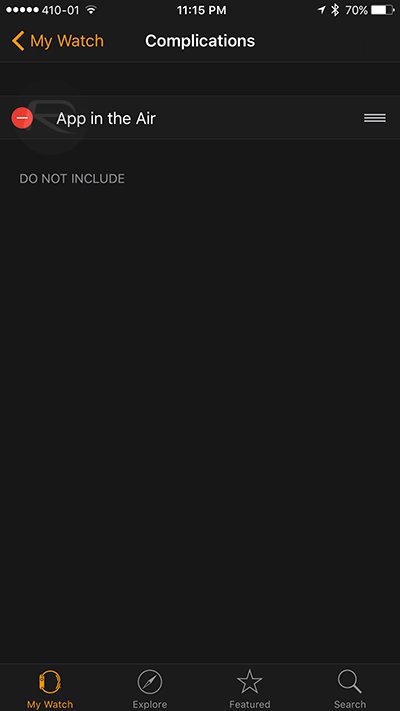 Step 9: Using the Digital Crown, scroll through the list of options until you find the complication that you desire. 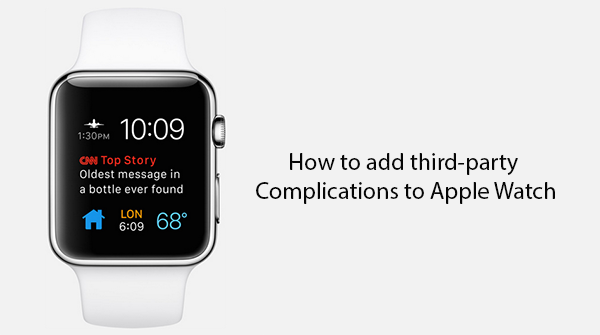 All available complications are listed alphabetically so it’s fairly easy to locate and get the one you want. Pressing in the Digital Crown now will add the the complication to the watch face. I think it’s poor word choice in using ‘Complications’. It just makes it sound like it is something ‘complicated’. Not good enough. Not until we can use third party watch faces. I’m not going to be stuck with the 8 faces (or whatever small amount) Apple has chosen to give us. Android wear has hundreds, if not thousands of unique faces. Blows apple away in that department. 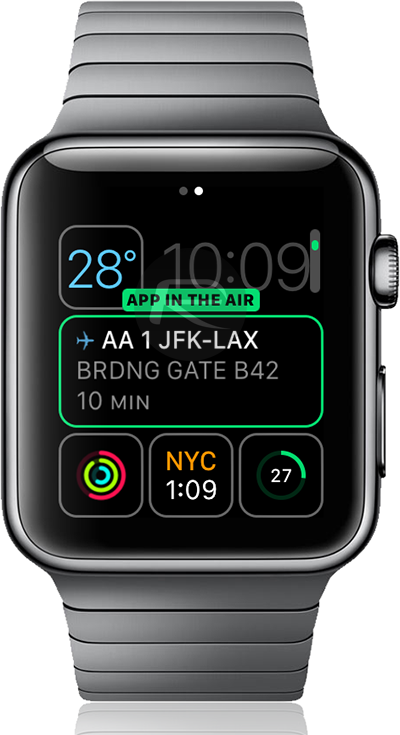 The app “app in the air” and “itranslate” doesn’t work on my apple watch, it keeps on crashing although i have the latest updated version. Is there something i can do about it to make it fix?